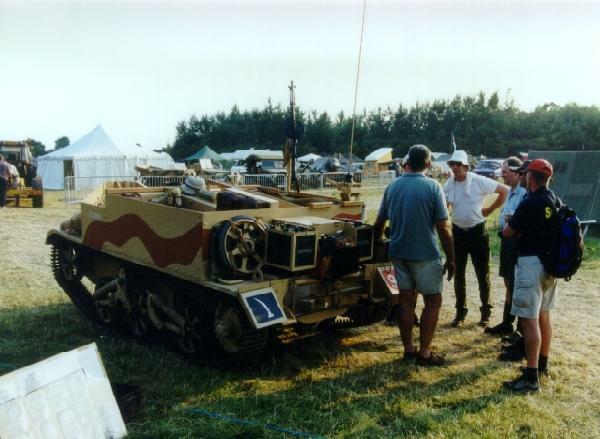 Although I have only been to Beltring in 1999 and 2000, I understand that every year more and more CMPs appear at the show. This pictures below only show a selection of photographs of the CMPs that were present. If anything, it was the largest selection of CMPs I have seen in one place. Five days were not enough to view them all in detail! 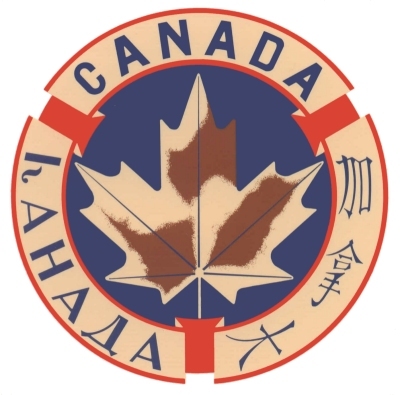 Please follow the links on the bottom of this page for more web sites showing the myriad of vehicles that could be seen at the Millennium Edition of this magnificent event. Fine line-up of superbly restored early cab CMPs: Nigel Dawe's F8 11 cab, John Malpass' F15A 11 cab, Pete Ashby's C15A 12 cab and Steve Stone's C30 11 cab. Nigel Watson and his early Canadian Mk I* Universal Carrier, painted in the colours of the Indian Army, with whom his father served as an officer. 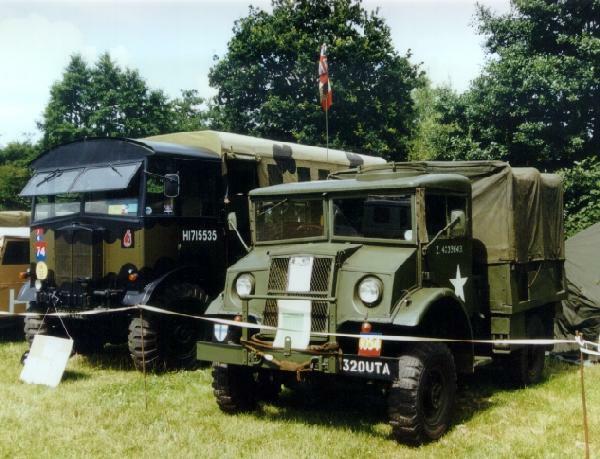 The Dodge T212 8-cwt truck on the right belongs to Alan Tooes (see below for more pictures). Nigel Watson goes everywhere with his carrier and thus attracts many veterans, ranging from ladies who during the war cleaned carrier parts after shipment, to drivers who 'danced' their carriers. Nigel's knowledge about carriers and the men who crewed them is astounding. This picture shows him telling a small crowd one of his fascinating stories. 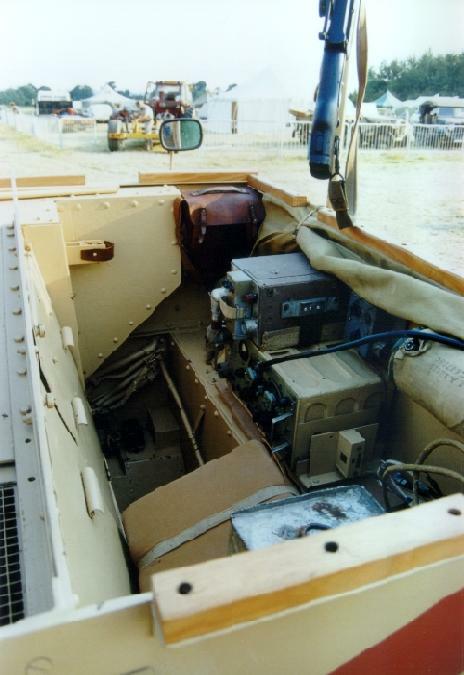 Front and right rear compartment of Nigel's carrier. 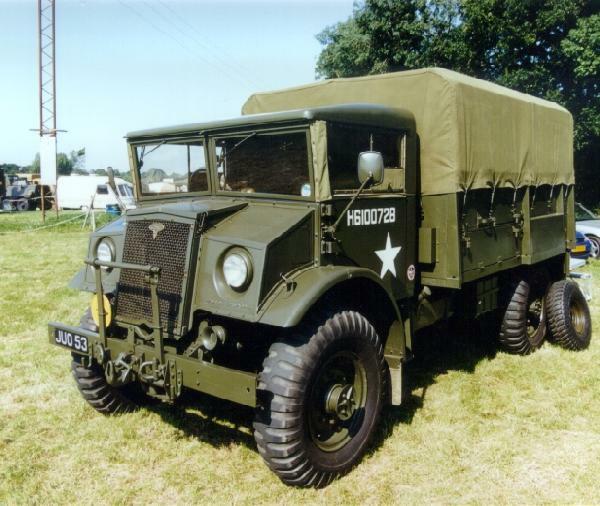 Alan Tooes is the owner of this rare dodge T212 8-cwt truck. 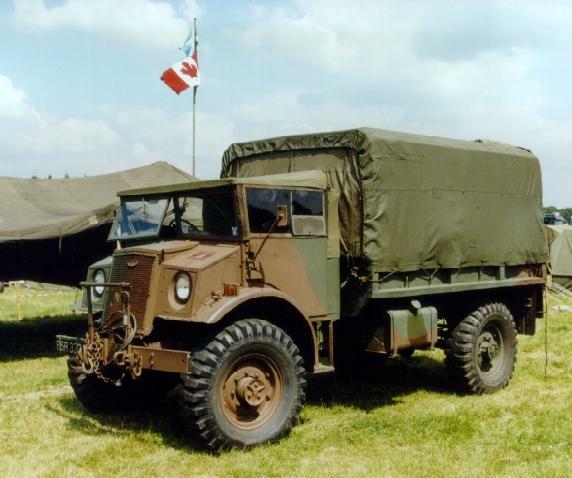 It is one of only a few surviving examples of this rare Canadian truck. Alan wishes to embark on another project, and is therefore this T212 is for sale. 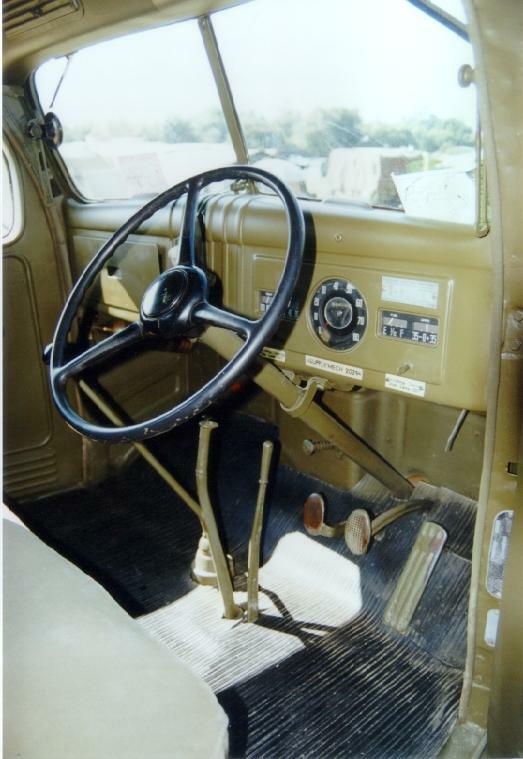 Driver's position in the T212. Michael Byrne's (UK) Chevrolet C8A HUP. 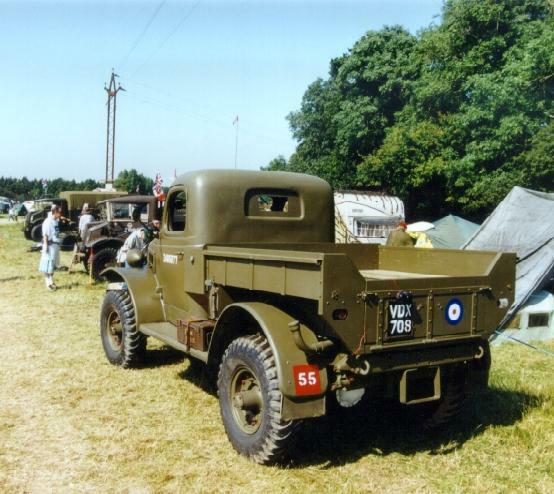 Chevrolet C15A GS from Great Britain. 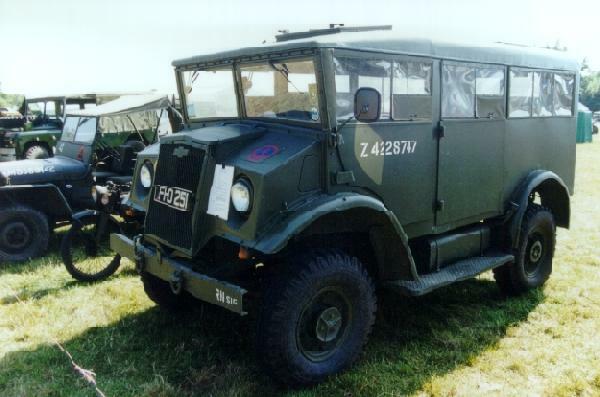 Ford F15 GS from Jersey. 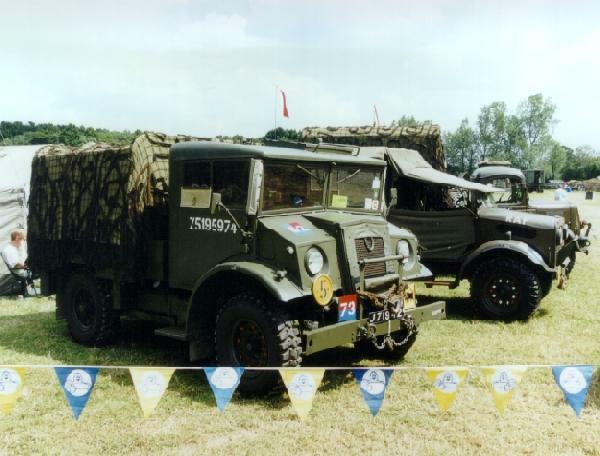 Tom Bewick's Ford F60S-LAAT. Note the soft top on this no. 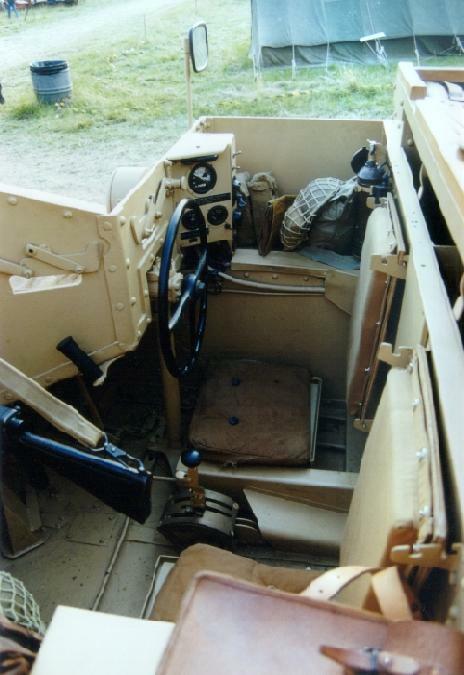 13 cab. Not a very original CMP, but you will find Tom and his Ford present at every conceivable event in Europe. 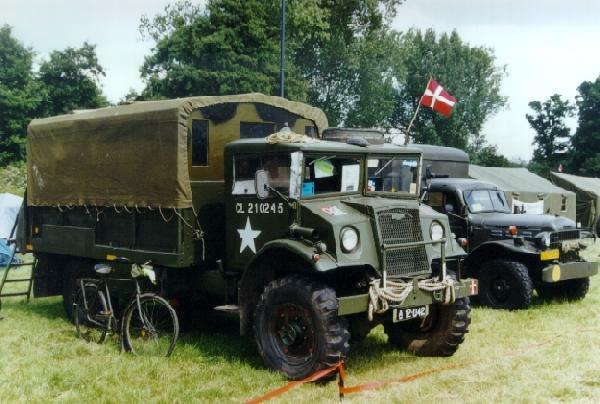 Chevrolet C60L hauling all the way from Denmark. Brian Kitcher's F60S-LAAT. Superbly restored, plus it pulls a 40-mm Bofors AA gun to shows. 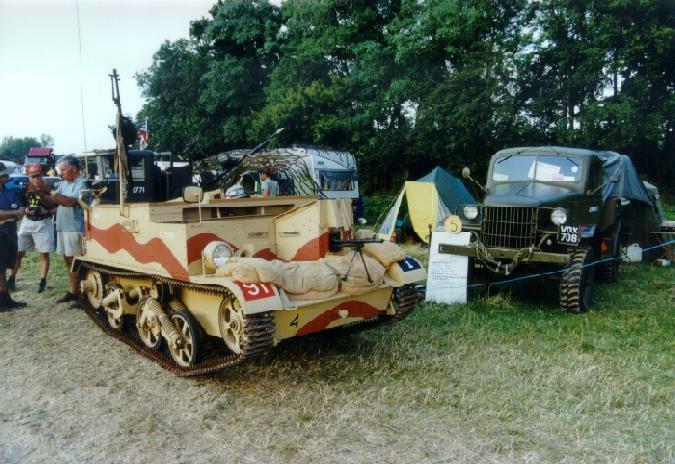 Chevrolet CGT 12-cab Field Artillery Tractor with 25-pdr gun and limber. 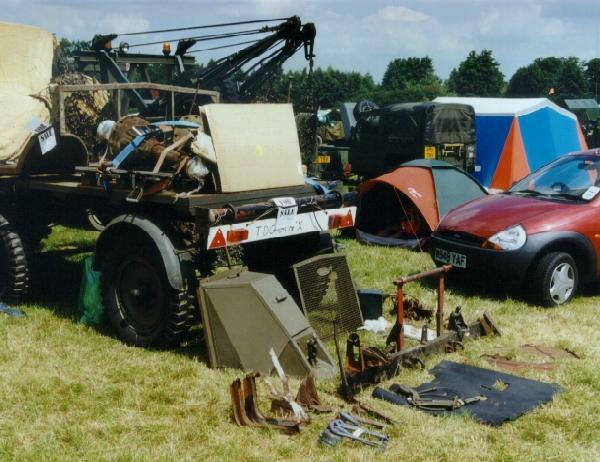 CMP restoration workshop at Beltring? 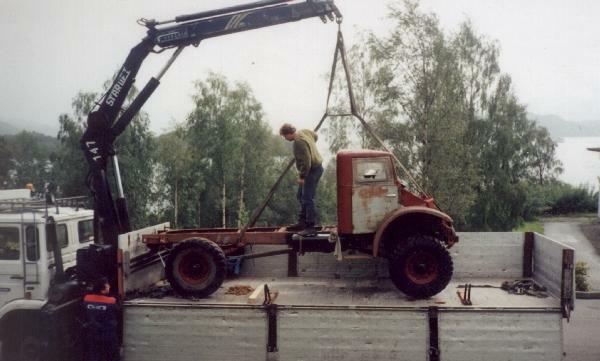 No, this is Rolf Ask's C30 cab 11. After he finishes it, Rolf will drive it from Norway to England for next year's event! Photograph courtesy of Rolf S. Ask. My friend Geoff Winnington-Ball described the "Beltring Experience" in an outstanding way, to which I have nothing to add. Read his story and tell me you don't want to be there next year! For a complete list of linked pages see the Beltring page on my Sherman Register site.